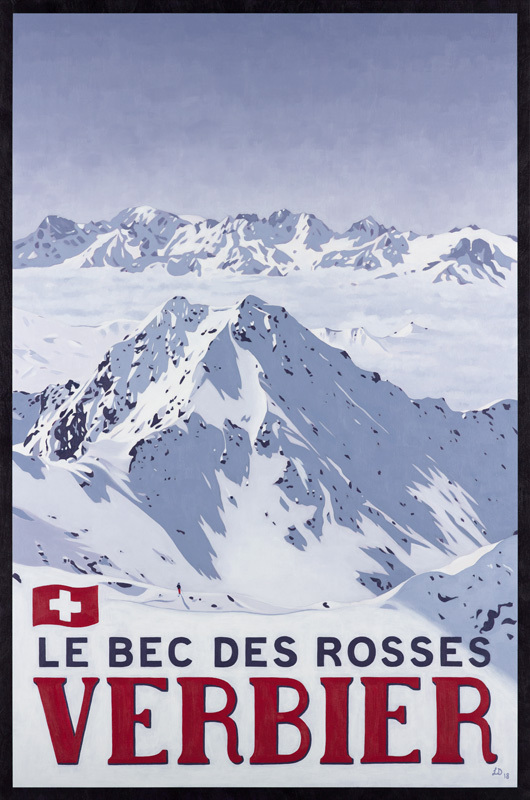 All of these paintings were produced during my time living in Verbier in The Swiss Alps. They are ‘Poster Style’ paintings inspired by vintage travel posters but based on my own photographs and with a modern twist. Most of the paintings below are available from the shop in giclée print, wood print, poster or postcard format in various different sizes.